Sharing books - Always remember that we teach phonics to help our children learn to read and write and in order to do this successfully they need to love books! The best way to help your child is to read as many books as possible. Read anything that your child is interested in (including magazines, menus, etc). You don’t have to read all (or any) of the words each time. Remember to use silly voices, make sound effects, pull faces, act things out, talk about what you can see, talk about what you both think and feel and have fun! 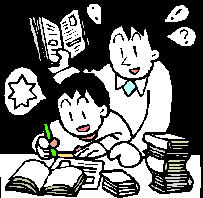 Unofficial homework -Encourage your child to tell you what they have done at school today. Sharing new songs and rhymes is something that you can easily do when you are busy with something else e.g. cooking, cleaning, driving in the car. Once is never enough! 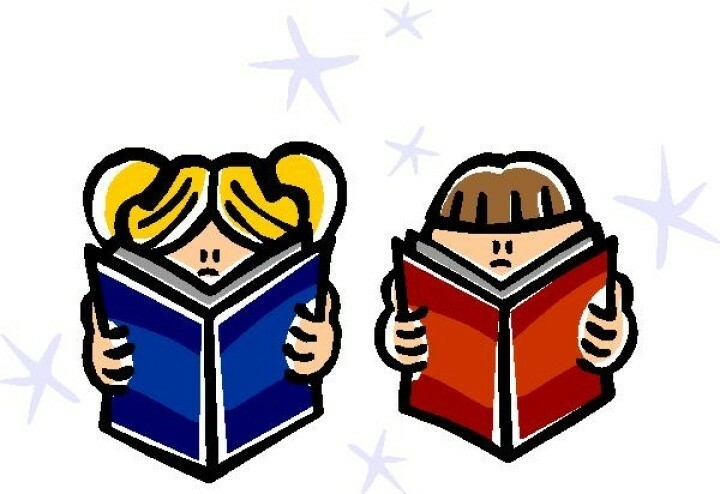 – Encourage your child to re-read favorite books and poems as well as their school reading scheme book. Re-reading helps children read more quickly and accurately. Dig deeper into the story – Ask your child questions about the story you’ve just read. Say something like, “Why do you think he did that?” – see separate sheet for ideas. Be patient – When your child is trying to sound out an unfamiliar word, give him or her time to do so. Remind to child to look closely at the first letter or letters of the word. I read to you, you read to me – Take turns reading aloud at bedtime. Children enjoy this special time with their parents. One more time with feeling – When your child has sounded out an unfamiliar word, have him or her re-read that sentence. Often children are so busy figuring out a word they lose the meaning of what they’ve just read. Toy sounds – When your child is playing with their toys encourage them to make the right sounds. Farm animals, train sets, vehicles, dolls etc are great for this. Help your child to notice these sounds around and about. E.g. Listen to the sound that cars, trucks and fire engines make in the street. Practise making these noises, then use them with car, truck and fire engine toys. Shake it all about - Make simple shakers by filling plastic bottles or tubs with rice, pasta, pebbles etc. Play with them and talk about the sounds that they make. Are the sounds soft, sharp, smooth, jiggly, scratchy? Tap it out - Use the shakers above or use drums (pots and pans and wooden spoons are perfect) to play along with songs, rhymes and the radio. Try making the loudest sounds that you can then the quietest sounds that you can. Tap out simple rhythms. Can your child repeat the rhythm back to you? Interesting instruments - If you see or hear instruments being played either in real life or on TV, talk about the sounds that the instrument makes. Which instruments does your child like the sound of best? Can they tell you why? Can they imitate the sound with their voice? Song time - Sing your child’s favourite songs, ones they have learnt at school, songs you remember from childhood or songs on CDs you have at home. Encourage children to use their bodies to make sounds to go along with their singing – stamping, clapping, patting knees etc. Sound effects - Read stories and encourage children to make sound effects with their body – stomping, knocking, clapping, scratching etc. Rhyming books - When children are really familiar with a particular book, try pausing before the rhyming word. Encourage your child to fill in the missing word. Clap it out- Encourage children to think about the rhythms in words. Say simple nursery rhymes and clap along with one clap for each syllable. Repeat with knee taps, head pats or stamps. Talking about toys - Talk about your child’s toys and say something about them that alliterates. It doesn’t have to make much sense. Hippo huddles and cuddles me with his hairy head. Pulling faces - Play around with moving your mouth in different ways e.g waggling your tongue, opening as wide as possible, smiling wide, frowning, blowing lips etc. You may want to do this to music or it can be a fun bath time game. Make a range of sounds e.g oo, ee, sh, th. Exaggerate your mouth shape while you are doing this to encourage your child to copy your mouth shape. It can be fun to do this while you are both looking in a mirror. The list of words your child is currently learning – maybe the words in their book bag. Matching pairs – You will need:Small pieces of card or paper with the words your child is currently learning written on each. Each word will need to be written twice so you can search for a matching pair. Turn all the cards face down on the table. And take turns to turn over two. When a matching pair is found that player can keep them. The winner is the person with the most pairs at the end of the game. Snap - Make a set of cards with words your child is learning written on. Ensure that each word is written ion two separate cards. Shuffle up the cards and share them out. Each player takes turns to turn over their card, put it down and read the word. If it matches the previous card played, the first person to notice shouts ‘snap!’ and wins the pile. This game is best used to practise words your child knows fairly well, rather than new ones, as it’s quite fast-paced. Be your child’s no.1 fan – Ask your child to read aloud what he or she has written at school or for their homework. Be an enthusiastic listener. Taking an active interest in your child’s learning is one of the best ways you can help your child to do better in school and in life. Learning is not just about what happens in school. Children are learning all the time through what they see, hear and do. Remember: a good 10 minutes is much better than a difficult half hour! Plan a quality, quiet time to read together. In school children are taught a range of strategies they can use to help them work out unknown words. Predicts what the word could be from the context it is in. 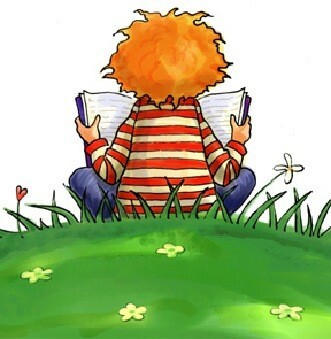 As children’s reading skills develop they adopt a range of good reading behaviours. Book Introduction: Spend time introducing the book (see separate sheet. Strategy Check: Ask your child “What can we do if we get stuck on a word?” Listing the strategies refreshes your child’s memory and gives them the confidence to tackle a new word. Independent reading: During this time try to remind your child of strategies rather than giving unknown words. Returning to text for questioning: This is an important part of the reading session as it enables you to see if they have understood what they have read. More confident readers will also be able to return to the text to find out answers to questions. Allow your child to read to the end of a sentence without interrupting. Share the title rather than asking them to read it if the words are unfamiliar. Remind your child to point to each word individually rather than continuously run their finger underneath if they are still learning to match one to one. Alternate saying well done or that was good by telling your child what was good. Remember not to expect your child to work out a word that is not in their vocabulary. Alternate the strategies you suggest rather than giving the same strategy prompt e.g. sound it out. Remember, we all learn more when we enjoy what we are learning! Why learn to read words on sight? Research shows that learning just 13 of the most frequently used words will enable children to read 25% of any text. What can you see on the front cover? What do you think this book is going to be about? Does the blurb give us any more clues? Who do you think the characters are going to be? Which part of the story best describes the…? Which words or phrases do this? What part of the story do you like the best? What did he/she/it look like? I wonder why the author…? Is it as good as? Which did you prefer? Why? Which was your favourite part of the story?